The SafeGuard UPS provides a buffer between your equipment and inconsistent mains power supply. This cost-effective, compact device constantly stands guard beside your sensitive equipment. This UPS is one of the only powerboard style with AVR (Automatic Voltage Regulation). 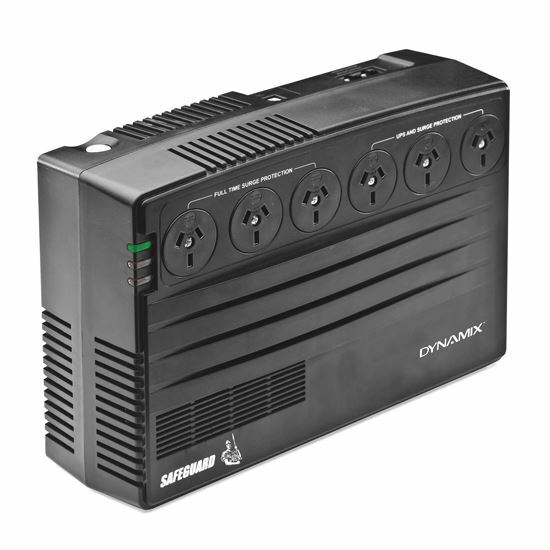 Anytime a power fluctuation occurs, this UPS will buck or boost the power within a ten percent variance of 230V AC. The SafeGuard provides three NZ outlets of surge protected battery backup to keep essential systems running through power outages. It also provides three surge protected NZ sockets for non-essential equipment. The SafeGuard case design allows for easy user-replaceable batteries. The SafeGuard USB communication port is compatible with Synology NAS products. NetGuard™ UPS management software included.